Optical coherence tomography (OCT) is a non-invasive imaging modality that is transforming clinical diagnosis in dermatology and other medical fields. 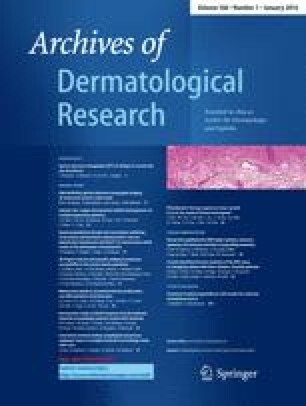 OCT provides a cross-sectional evaluation of the epidermis and dermis and allows in vivo imaging of skin collagen. Upregulated collagen content is a key feature of fibrotic skin diseases. These diseases are often managed by the practitioner’s subjective assessment of disease severity and response to therapies. The purpose of this review is to provide an overview of the principles of OCT and present available evidence on the ability of OCT to image skin collagen in vivo for the diagnosis and management of diseases characterized by skin fibrosis. We review OCT studies that characterize the collagen content in normal skin and fibrotic skin diseases including systemic sclerosis and hypertrophic scars secondary to burn, trauma, and other injury. We also highlight several limitations of OCT and suggest enhancements to improve OCT imaging of skin fibrosis. We conclude that OCT imaging has the potential to serve as an objective, non-invasive measure of collagen’s status and disease progression for use in both research trials and clinical practice. The future use of OCT imaging as a quantitative imaging biomarker of fibrosis will help identify fibrosis and facilitate clinical examination in monitoring response to treatment longitudinally without relying on serial biopsies. The use of OCT technology for quantification of fibrosis is in the formative stages and we foresee tremendous growth potential, similar to the ultrasound development paradigm that evolved over the past 30 years. O. Babalola and A. Mamalis contributed equally to the preparation of this manuscript. The project described was supported by the National Center for Advancing Translational Sciences, National Institutes of Health, through grant number UL1 TR000002 and linked award TL1 TR000133. The project described was supported by the National Center for Advancing Translational Sciences, National Institutes of Health, through grant number UL1 TR000002 and linked award KL2 TR000134. Research reported in this publication was supported by the National Institute Of Allergy And Infectious Diseases of the National Institutes of Health under Award Number R33AI080604. The content is solely the responsibility of the authors and does not necessarily represent the official views of the National Institutes of Health.